Police Minister Bheki Cele has moved swiftly to thwart a looming police strike. A series of messages communicated via social media suggested that police were going to embark on a strike despite being considered as essential services employees. When Police Minister Bheki Cele heard that disgruntled officers had the support of police unions to go on strike he immediately promised to address concerns around promotions. Social media messaging calling on police members to strike over promotions of low level officers had found the backing of Police and Prisons Civil Rights Union (POPCRU) and the South African Policing Union (SAPU) who had both stated their position to throw their weight behind striking members. “We do support these members who for some it has (been) more than a decade in one rank. We are calling upon the management to swallow its pride and come (to its) senses and avert this strike as it will cost the country dearly,” SAPU said in a statement on Wednesday. Participants of the strike would include “functionary members of the police based in police stations”. “We have noted with concern among disgruntled police officers over what they feel is the preferential treatment enjoyed by specialist units at the expense of police officers in police stations,” the SAPU statement read. 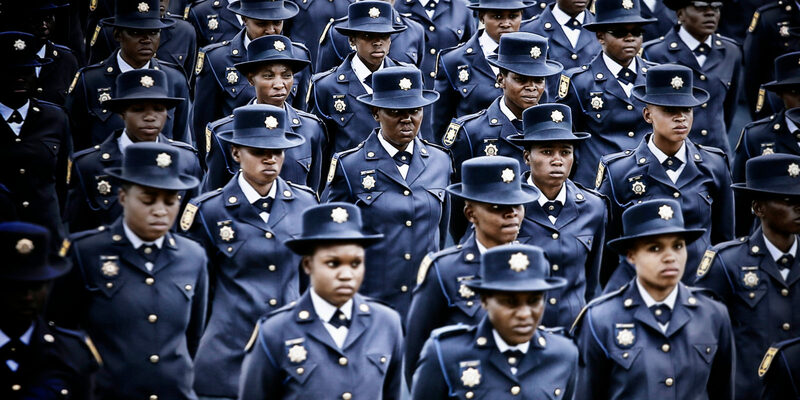 In an attempt to prevent a strike, police minister Bheki Cele addressed concerns around promotions, saying all deserving SAPS members would get promotions. Cele said overdue promotions dated back to 2011/2012, which resulted in a backlog of 69 219 overdue promotions. In terms of promotions and grade progression, Cele said 1,200 post promotions were effected on 1 June 2016. Another 1,000 post promotions were effected on 1 September 2018 and another 1,000 on 1 February 2019. Cele said 28,000 officers would be promoted through grade progression in March. Cele, speaking at the provincial police headquarters in Johannesburg, said addressing the promotions issue was aimed at improving low morale and the well-being of members, with the ultimate goal of impacting service delivery. Cele said a further 900 members from the Specialised Units will be regraded this financial year. Specialised units include the Special Task Force, the Tactical Response Team and the National Intervention Unit. “We call on the management to follow due process during the promotions and ensure deserving members be promoted. We hope that this initiative will boost the morale of our police officers to enable them to execute their task optimally. Going forward we will be working on the betterment of the member’s conditions of employment,” Cele said. Cele said this was not the end of engagements as he would be meeting with all 1,147 police stations and provincial and national management of the SAPS next Monday in Pretoria. “I would like to call upon all disciplined members of the SAPS nationally to take the leadership into full confidence that this matter of promotions will be further addressed with the speed it deserves to benefit the entire SAPS family and amicably with all parties involved, including labour unions,” he said. “To date, two out of three collective agreements have been signed by the two recognised labour unions of which one agreement was eventually signed solely by the majority union,” Cele said. SAPU president Mpho Kwinika said the union was concerned that there were some members who were still excluded in the initial agreements. Cele urged all members of the SAPS to keep their oath of office and to hold in high regard Section 205 (3) of the Constitution which calls on the South African Police Service to prevent, combat and investigate crime, maintain public order, protect and secure the inhabitants of the republic and their property, and to uphold and enforce the law. “In relation to the recruitment of entry-level trainees, we have noted with concern some objections regarding the legitimacy of the SAPS recruitment process from those who have not met the criteria after undergoing a rigorous selection process. The national commissioner and myself are processing this matter in detail internally and will pronounce on a way forward in due course,” said Cele. Cele said the cost of promotions – R2-billion – should also be taken into account and as a result, the process would be broken down in a three-year cycle for completion in order to address the remaining backlog of 45,000 members due for promotion. Asked what the police plan was for the lawlessness currently witnessed in the form of violence in the country’s schools, Cele said, “We must be worried when we start arresting 13-year-olds.” Cele said his department was trying to have serious outreach with young people. He said police Commissioner Khehla Sithole would lead the outreach programmes. Cele said police intend to implement the same measures as have been implemented in some schools in the Eastern Cape where officers are deployed in schools. He said this should be the case in the whole country but stressed the importance of schools not resembling crime scenes where police vans speed up and down. Cele said quicker police reaction time was also an option.